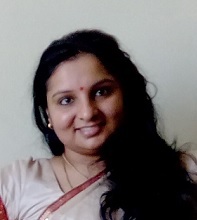 I am Shakti Devpriya. It is immense pleasure to share the experiences, milestones and challenges witnessed in my journey through the realm of Elements with my beloved consort Acharya Agyaatdarshan Anand Nath whom many lovingly call Master AD. Shri Shivananda Nath ji and all I can say.. that I have understood and experienced the deep secrets of Tantra in true sense with him. 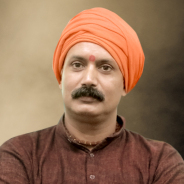 It was his grace that he encouraged us to learn the Vama-Tantra secrets from none other than Shri Kali Baba. Shri Kaleshwaranand ji initiated AD and designated me as Mahabhairavi of his. We learnt otherwise unknowable secrets of Vama Tantra only in benign presence of Shri Kali Baba, a true Vama Marga Master. Our mission is to clear the tarnished image of Tantra which is often thought as some form of black image or as a practice to enhance sexual experiences. Tantra is a path to unite the individual consciousness with supreme consciousness while living and experiencing this very life in its completeness. The first step towards understanding the Sattvic Tantra is through Tattva Shakti Vigyaan. 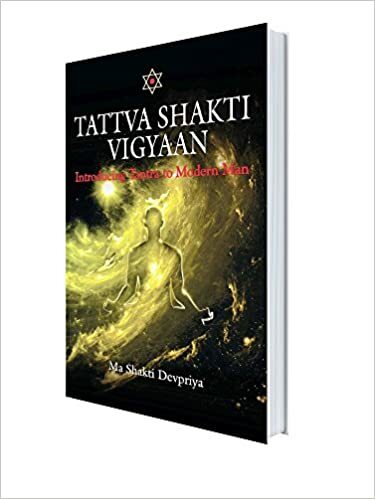 I have also authored a book “Tattva Shakti Vigyaan- Tantra for Modern Man” to introduce Tantra in an easy and understandable form. One moment you would find him an ordinary person who would feel the pain, get emotional, yell at you.. and the next moment you find him crying unconsolably on listening to any beautiful verse of Upanishad, Koran, Bible, Gita or any other book. When you are in pain.. you will find him ushering you to a safe painless territory.. through his loving ways.. unconditional support and kind words. Show your ego, display apathy towards any other person, try to behave ignorantly… God save you! You would be inviting piercing criticism and filthy abuses just to bust your ego.. Yet he is fountain of bliss.. unconditional lover.. ocean of knowledge. You either love him or hate him but for sure.. you can not ignore Master AD. He is a true enlightened master. My beloved consort, Master AD and I are initiates of the same Guru Shri Shivanand Nath ji from holy city of Prayag in Uttar Pradesh, India. The Srividya Krama system is truly a great spiritual tool for realizing our Shiva-Nature and Gurudev gave so much to learn, practice and assimilate. The initiation in Vama Tantra (Kaula tradition) which we received from Gurudev Shri Kaleshwaranand ji was not a cakewalk either. It demanded a lot from both of us. Social taboos and deeper inner conflicts which come with social conditioning had to be won over. Relationships needed to be seen in new light. After initiation Moment to moment decisions and living itself becomes a test.. And it was a great moment when I passed the test! It is only with Gurumandala’s divine grace that merely in the time span of 7 years we reached Shiva-Shakti stage in Sadhana. On this day we together, are married to the cause of spreading true meaning of Tantra on this planet. Through this blog I will try my best to support you in all your endeavours but you need to promise me to follow the heart’s voice and keep your faith alive amidst all conditions.